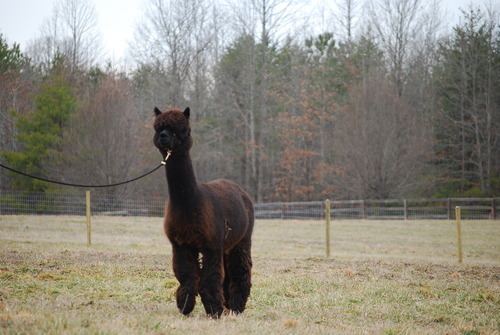 True Black daughter of 3X Champion BMF Taos' Zeppelin and APLA Pineline's Twilight Fendi. Sonata is a beauty. 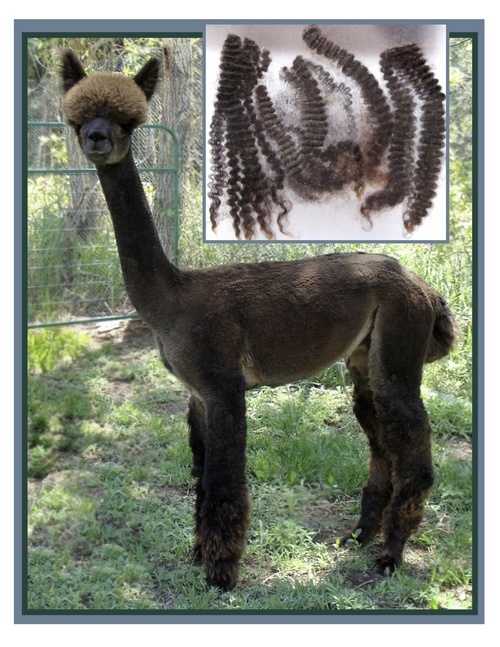 She is registered as Dark Rose Grey however has shown from Grey, to Bay Black, to Indefinite. I do believe she is a bay black. She has a strong sturdy frame with a long staple length, fine, fine fleece with beautiful brightness and zipper crimp. Sonata should be a foundation female for sure. 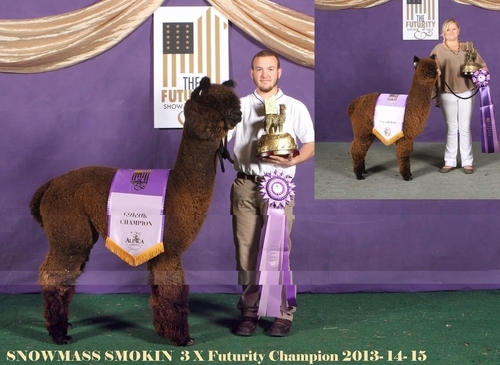 Breeding offered to any Virginia Alpaca Group herdsire.